Teeth are naturally strong. A routine cleaning regimen will help to maintain a healthy set of teeth. There are several threats against teeth that brushing will not protect teeth from. The good news is that there are several other strategies which can be used to guard teeth from accidental and normal wear and tear. No one plans to ship, break or fracture a tooth. Significant injuries require immediate dental work. It is important to contact a dentist right away when emergency trauma has left a tooth damaged. It is important to think about proactive action to help prevent or limit potential damage. · - Limit biting on hard items (popcorn kernels, ice) especially on teeth with fillings or crowns. · - Wear mouth guards when playing sports. - Get damaged teeth restored. The tooth will never be as strong as the original, but a restored tooth is much stronger than the weakened tooth without restorations. Teeth are designed to bite, chew and grind food. Tooth wear concerns are for those people who do it unconsciously (during sleep). Bruxism (tooth grinding) can wear down the points of molars and cause micro-cracks in enamel. This action leaves the tooth more susceptible to dental caries (tooth decay) and breakage. In additions to tooth wear, grinding will also bring on headaches, muscle pain and injury. If the person is unaware of their grinding, the dentist will see signs of the damage during regular check-ups. Acid levels found inside the mouth are linked to enamel erosion. When the pH is out of balance, teeth are more susceptible to dental carries. The balance will shift when acidic foods and drinks are consumed and/or acidic-bacteria levels rise. Some diseases will also influence the erosion levels of teeth. People who are bulimic, pregnant women with long-term morning sickness, chronic gastritis (linked to alcoholism) or gastro esophageal re-flux disease (GERD). Medical attention to help treat these diseases is the best course of action to limit the erosion side-affects. Doctors may prescribe medication or provide information regarding dietary changes in order to limit further damage to tooth enamel. It is also important to keep up with dental check-ups so the dentist can keep abreast of the effects the acid problems have on tooth enamel. Dentists have been known to observe the signs of diseases by the dental side-affects. Dr. Patel will advise patients to make an appointment with their primary physician if oral health problems signal other health concerns. 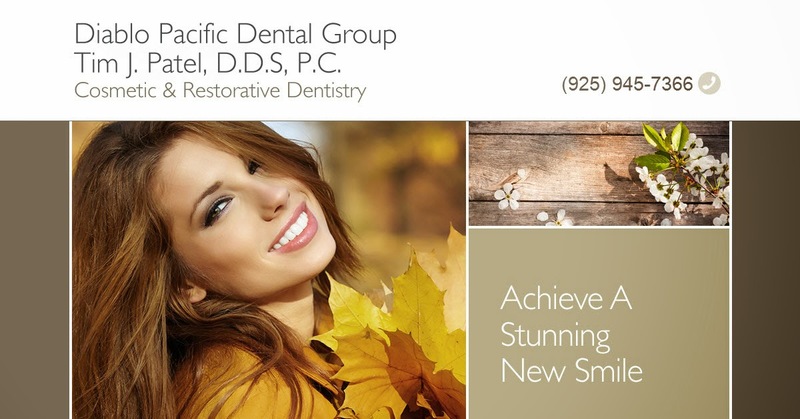 Call Diablo Pacific Dental Group for more information or to schedule an appointment to stop excess tooth wear in its tracks. I always thought that gingivitis was one of the worst forms of gum disease. I guess there are a lot worse things out there. I never realized how important flossing actually was until a couple of years ago. Great survey, I'm sure you' re getting a great response. Thanks for your writing. Dental problems are very disturbing and painful. Also some dental problem can be fatal. So it is better to treat any dental problem as soon as possible. But many of us ignore dental problems due to high expenses of cost. In this case stand alone dental discount plans MA can help to minimize cost. Dental discount plans, This is the best dental treatment care office I have ever seen. The staff is very professional and friendly. The office is very clean and neat. They took a lot of time to explain everything to me and gave me recommendations to help me with my dental needs.